Recently, I heard that another childhood acquaintance, who we called “Professor”, died from a gunshot wound. When my mom told me, I felt this wave of feelings pass through me and for a brief moment I felt like I might be next. It was a familiar feeling that I had grown up with—the persistent consciousness that everyday could be my last. For a long time I prized that sense of impending death because I had found that living with the expectancy of death was a good way for me to overcome any threats people put toward me. “You can only kill me once”, I thought. “And since I am not afraid of death, anything else you try to say or do to threaten me is meaningless to me.” It was my super-power that served me well in my different neighborhoods and other areas of life, where for years I attracted the aggression of others. Because of this, by the time I reached high school, I had come to believe that I would never live pass 18, so even though it was difficult to withstand some of the pain I experienced, the thought that I only had to survive high school without ever succumbing to the negative energies surrounding me, pulled me through. When I reached eighteen and was not dead, I felt like my assassin lurking in the shadows must have been sleeping on the job, so I took my chance and got out of Dodge. Still, every time I hear that someone I know was killed or died, I start feeling like I am in one of those Final Destination movies and I become hyper sensitive to the world around me. Professor’s death came up while I was already in the middle of a mental struggle. I was studying Black Liberation Theology which had already brought up some serious issues about some of my experiences surrounded around being black in America. If you read my post, We Are Worthy, you have an idea of what I am talking about. To sum it up, I was troubled because I felt like the message that we are not worthy of God’s love is terrible and it is something I heard in plenty of black churches growing up. Whenever I would combat that message I would draw attention to myself that I in turn would feel compelled to defend. It was a completely draining exercise to get into, but I just didn’t get why black people, who suffered so much in this country, would welcome such a degrading so called gospel. Wasn’t it bad enough that we were oppressed and slaves here and made to feel like we were less than others? Now we had to believe that even God thought we sucked and that we had to be saved by a blonde haired blue eyed Jesus. I just couldn’t see the Good News in this. I felt like if we were going to follow the religion handed to us by our oppressors, the least we could do was look at the verses like John 3:16,17 which said that God loved the world and didn’t send Jesus to condemn us, but to save us. Anyway, as all of these feelings came up, I struggled with so many thoughts that at times I felt like I was falling apart. I kept a lot of this to myself at first because after years of trying to remain awake in this world, I had come to the conclusion that pretty much no one gave a crap about reality. Now when I say reality, I am not talking about my reality. My reality is meaningless. I’m not even attached to my own reality, as in the story about who I am in this world. I am talking about God’s reality where all is One. I’m talking about the real Gospel—the Good News that God is not far from us, for in God we live and move and have our being (Acts 17). I am not going to try to be politically correct or try not to offend anyone in this post, because I do not know any other way to say what I am trying to say in our dualistic language and world. I am actually trying to fight fire with fire and I know this. So if you get burned, I don’t know what to tell you except that fire also purifies. It’s the process of unlearning false ideas so that truer ideas can take root. Now let me say that this stuff I say is never about race to me. This is about the offspring of God knowing who they are and who their brothers and sisters in God are. Because if you think you are a child of God, but you deny that POSSIBILITY in another, then you are mistaken. It does not matter if those people know who they are or not or if they ever choose to actualize that possibility, God is One so there is no division in God. If you are knowingly benefiting from or taking advantage of the unconsciousness of others and doing nothing towards awakening then you are part of the problem. In reality race, class, and even socioeconomic status are all just facets of the divisive lie that we are separate from God and each other. And in fact I do not care about any of them. But I do care about dispelling ignorance and bringing consciousness into the world and the fact is that as long as we are breaking ourselves into categories, I have to work in that space. And as a black person working toward consciousness, I have to tell the truth that black people in this country were treated like less than human and then in the end they got blamed for not knowing how to cope. Anyone who has been in an abusive relationship knows what I am talking about. Somebody beats you down and then if you say anything back they use it as justification for why they abused you in the first place. Enough of that and you start feeling like maybe they are right about you or even if you don’t feel like they are right, you eventually get tired of fighting or you feel so trapped in the cycle that you just give in or give up. I’m telling you this from experience. As a part of my seminary education, we have to be in these groups where we talk about our experiences with a group of our peers and a minister in the field. Like pretty much everywhere that I am right now, I was the only black person in my group. At first I didn’t really want to talk about Professor or the stuff I was struggling with in Liberation Theology, because I felt like if I did I was just going to add to the useless sense of white guilt that I see so many people with these days. But when it came time for me to talk, I said a silent prayer and then I just said it. I won’t say everything I said. I’ll just say that I told them the truth as I had experienced it. I didn’t care what I sounded like or looked like. I just said it because I needed to and they listened. When it was over the minister asked me some questions and then finally asked, “Have you ever considered that you may be experiencing some internalized oppression and Post Traumatic Stress?” She went on to say that slavery did a real number on everyone in this country and that we have never dealt with it properly and that many of us are unconsciously suffering from the effects. I appreciated her honest inquiry and simple assessment. I had never thought about it like that. If anything, I might have thought that I had learned to transcend it, but it didn’t take much for me to connect the dots in my own life. I don’t want to admit it and I know a lot of people don’t want to hear it, but for a lot of people, what happened in this country is messing with our heads on a subconscious level. Malcolm X said that the worst crime that white people ever did to black people was to teach us to hate ourselves. A good follow up question to that is: Who taught white people to hate themselves? The fact is that you cannot teach someone to do something that you do not know how to do yourself. So what that says to me is that race, nationality, creed, religion, or any of our categories that we put ourselves in are not the issues. The issue is self hate and denial of Unity. One of Jesus’ most popular teachings is to love others as you love yourself. Well if you don’t love yourself, how will you treat others? Think about this. If you don’t love yourself, how will you treat others? If it were up to me, I would make it mandatory that every school taught a class on slavery. I’m not just talking about the slavery of black people in America. The institution of slavery existed long before the first Dutch people settled in Africa. 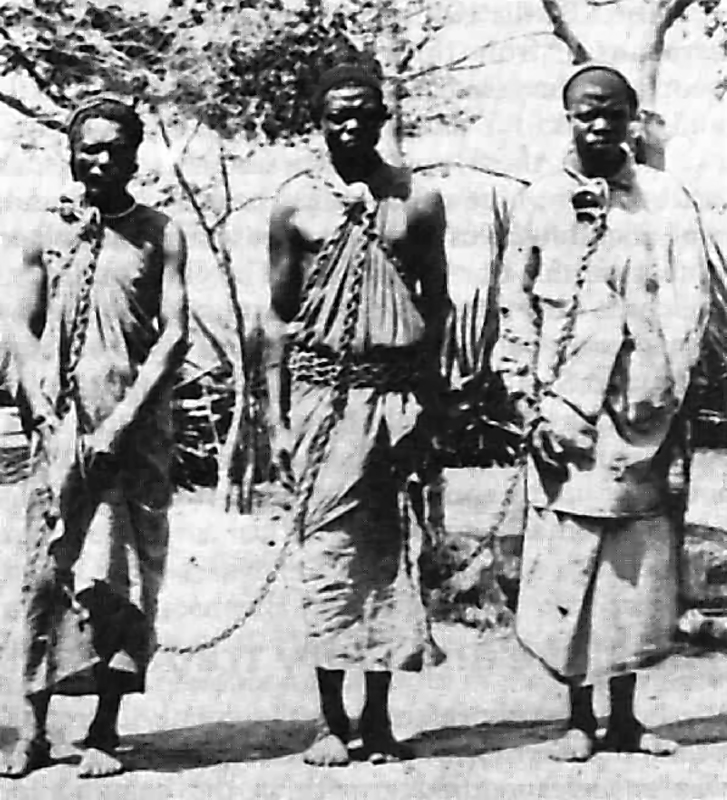 Almost every race has been enslaved at some point in history—even some white people. And the fact is that most of us still are enslaved mentally even though we are too egotistical to admit it. If you ever said the words, “You made me… or they made me…” you are a slave in that moment. If you see an advertisement and all of a sudden you feel like you just have to have that thing, you are a slave in that moment. And if you think that you have the right to be “free” while you think that others do not deserve the same freedom you are a slave. And lastly, if you do anything to manipulate others then you are a slave because we are all bound to what we bind and are set free by what we liberate. I am openly sharing my experiences and struggles, because I have no intention of being bound by anything anymore and I am inviting any who will to join me in letting go of the junk that we have taken on. I am not going to say that it will be comfortable, but it will be easy and it will be light because unlike the lie that we’ve been taught, the Truth always is. I like this, thanks for your openness to share. Thanks for your willingness to check it out.